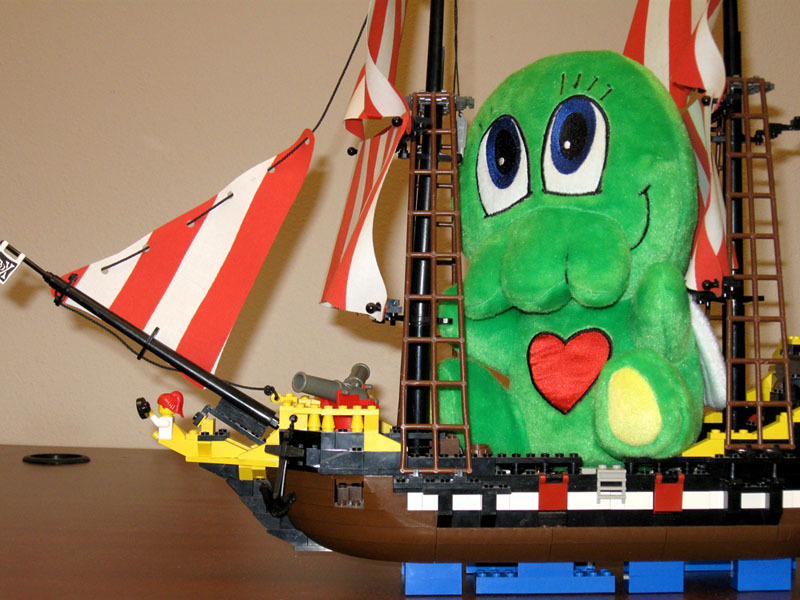 Note: Objects in image may not be accurate representations of the relative sizes of Chibithulhu and the ship carrying it. Also, we're pretty sure this batch isn't actually coming to us on a pirate ship, but one never knows. Our first plush release, Chibithulhu, is headed to our warehouse. Apparently, the recent hurricanes delayed the cute little fellow in the Caribbean for a few days. Rumors of psychics having nightmares about an awakening are unfounded. Watch for this insanely cute form of Cthulhu to hit store shelves in early November.